Bad breath is usually caused by the bacteria that live in a person's mouth. Since bad breath is mostly due to bacterial putrefaction in an unclean mouth, it can often be remedied by better mouth cleaning. So, Good oral hygiene is essential in battling bad breath, the first step in getting rid of bad breath is to make sure you are properly brushing your teeth. - Bad Breath is caused by anaerobic bacteria invading coatings or biofilms that build up on the tongue teeth and nasal passages. Scientific studies have shown that bad breath is caused by bacteria that accumulate on the back of your tongue. So remember to clean and scrub your tongue. - Bad breath is also associated with sinus infections because nasal discharge from your sinuses into the back of your throat can cause mouth odor. If your Bad Breath is Sinus related then this will get deep into the Sinus Passages, clear the infection and promote a neutral smell and taste in the mouth. - Bad breath is also caused by dry mouth (xerostomia), which occurs when the flow of saliva decreases so another step in how to get rid of bad breath is to keep the mouth moist. - Bad breath is caused by lots of things including certain foods, usually caused by the breakdown of food in your body such as garlic or onion. - Due to the nature of antibiotics they are not a good idea for the treatment of bad breath and an alternative bad breath remedy should be sought. - Bad breath is not a disease; it is rather a symptom, which indicates the presence of disease either within the mouth or away from the mouth. You may want to consult to your dentist or doctor to find out a more serious condition that may be causing your bad breath. There are some of tips how to get rid of bad breath, which may help you to get rid of your bad breath. Good oral hygiene is the important; it is a must in the treatment of bad breath. Bad breath is caused by lots of things including certain foods, inadequate oral hygiene and health conditions. So when you notice that something is wrong with your breath, start looking for a possible cure or treatment of chronic bad breath. Bad breath is such a common problem in today's society. Although common, chronic bad breath is not a laughing matter as it might signal a more serious medical problem that needs to be treated and solved. If you are having problems with bad breath please give us a call to schedule a consult 251-550-7770! 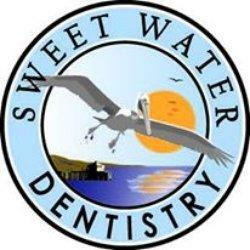 You can also visit our website at www.sweetwatersmile.com to request an appointment.